The Shoe Flexion Test checks flexibility of the front of the shoe. You are testing whether the shoe bends correctly or in the wrong place. As you walk or run, you need to bend your foot in the metatarsal or ball of the foot area as the heel lifts off the ground. This easy motion is called propulsion or push-off. It should occur only at the right place or injuries may occur. Grab the shoe again (like the post of Shoe Torsion Test) firmly at the heel. Then, grab the toe area and simulate toe bend by bending the toes upwards. The second photo demonstrates the shoe easily bending, not at the ball of the foot, but at the arch. This is how injuries to the arch, or plantar fascia, can occur. The shoe actually forces the foot to bend at the wrong place. Ouch!!! Combine the Shoe Flexion Test with the Shoe Torsion Test with Heel Verticality Test from other posts and you are beginning to have a clear understanding on how evaluate the safety of the shoes you buy. Good Luck! One of the best tests you can do at the shoe store when looking for a stable shoe is the Shoe Torsion Test. The photo above shows a shoe from the side. Grab the heel firmly. Grab the front of the shoe and attempt to twist the shoe as demonstrated in the photo next to this text. If the shoe twists easily, it fails the stability test, and you should not buy it. After you do this test on 5 different shoes, you will have a good understanding of the range of stability offered in the current market. 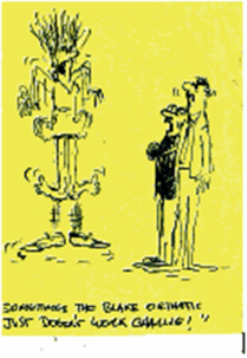 Golden Rule of Foot: Avoid Shoes that fail the Shoe Torsion Test. Proper Stretches for the Achilles Tendon are a vital part of every pre and post activity, and especially with injuries to the achilles, calf, plantar fascia, and hamstrings. Please refer to the post entitled "Generalizations in Stretching". There are two muscles, gastrocnemius and soleus, that make up the achilles tendon. These two muscles can be stretched separately by first having the knee straight (gastroc stretch on the left photo above), and then having the knee bent (soleus stretch on the right photo above). With both stretches, it is important to keep the heel on the ground. Hold each stretch for 30 to 60 seconds, or 8 deep breathes. Deep breathing gets oxygen into the stretch, a good yoga principle. Do not bounce, ballistic stretching. It is never good to jerk the muscle or stretch through pain. You want that good ache feeling. Try to stretch several times a day to actually gain in flexibility, even on days you do not do your normal activities. When non-athletes complain of cramping in their calves, often low potassium or dehydration is blamed. Have them try stretching 2 or 3 times a day and many will experience complete elimination of the cramps. 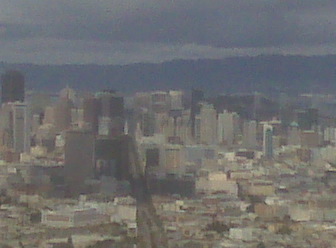 Those of you who live in the San Francisco Bay Area know the true beauty and allure of San Francisco. Once you move here, why would you ever leave willingly? I work in the only downtown hospital in San Francisco, Saint Francis Memorial Hospital. Millions of people work in the downtown daily. People from all over the world travel to this area on vacation and business trips. It is truly an exciting place to live, or even experience briefly. Runners can train year round so they love the great climate. 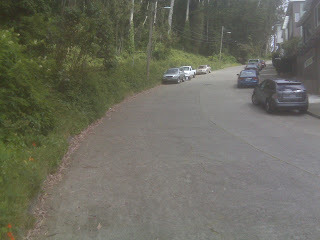 When runners move to San Francisco, they are immediately faced with potential danger---the San Francisco Hills. There are 7 of them. Finding a flat running routine can be challenging. The 7 miles 5 days a week they were running in flat Dallas can not be transferred into hilly runs in San Francisco without danger lurking. Hill runs can be great in moderation, but must be gradually incorporated in your running program. This photo does not do justice to one of the steepest hills in San Francisco called Lansdale Avenue. The hiking area to the left is Mount Davidson Park and the incline is intense. As a high school runner at Archbishop Riordan High School here in San Francisco we would do twice weekly interval training up this hill to the base of the huge Cross at the top of the hill. Probably why we won the league championship on a yearly basis. When you are training for some event and increasing the intensity of your workouts, think about these key points. Never increase the 3 main variables at the same time---distance, speed, and hills. First, build up your distance to where you would like/want it. Then stabilize the distance at that same amount, and add two speed workouts or two hill workouts per week, not both. These two workouts per week are normally in the middle of the week, like Tues/Thurs, with an easy run on Wednesday. Speed and Hill Workouts provide different stresses to the body and will make you faster and stronger. Just do not increase both at the same time. Give yourself 3 weeks at hills or speed, level off that variable, then add the 3rd variable. Try 3 weeks with one speed and one hill workout per week, then try 3 weeks just adding the 3rd variable. Do you see how safe, albeit slow, this procedure is? Since this is a medical blog, I am going to emphasize safety. One way to safely add hills is in the middle 1/2 of a run. So, during a 6 miler, run 1 and 1/2 miles flat, 3 miles in a hilly area, and the last 1 and 1/2 miles flat. Do the math! Charge up as many hills as you feel up to, pumping extra hard with your arms to help pull you up, but go easy down hills. Down Hill Running is one of the biggest dangers for injuries, especially during the last 1/4 of the workout when the muscles are fatigued. There is only damage to your joints as a benefit of down hill running, other than mortgage payments for orthopedists. But if you run up, you must run down, so go easy. The stresses to your body running down hill can be up to 10 times body weight as you land on each foot. Go easy with down hill running and last much longer as a runner. The occasional race where you need to fly down a hill to win a prize or something is just fine, but avoid the pounding of down hill running during your normal training runs. The secret of movement that keeps people healthy in body and mind is greatly helped by wonderful devices such as the Harvy Quad seat cane that you can order at Target or Amazon. There are several versions, but the basic type allows prolonged rest when you begin to get symptoms. Many of my patients are able to function so much more with the use of these canes. Their whole personality can change to extreme happiness from depression, if their physical ailments have beat them down for too long. The one shown is lightweight to carry and holds up to 300 lbs. Think of the museums that could be conquered with the use of this device. Keep moving that body even if it is less than you want. Golden Rule of Foot: 1 Foot of Movement is better than none. Golden Rule of Foot: Move the Body, Strengthen the Brain. In medical school and residency training you are taught that superficial pain in a muscle/tendon/ligament may to secondary to deeper, more serious problems. The superficial structures may be sore for many reasons including deep swelling that has surfaced (like after an ankle sprain), or muscle soreness from strain as they compensate to protect the deeper tissues. Hundreds of examples abound including the diagnosis of achilles tendinitis only to later find out that there was a chip fracture in the back of the ankle requiring surgery. The diagnosis of achilles tendinitis may have been followed with months of physical therapy, casts, orthotics, braces, and medications. A sports medicine practitioner works hard when superficial structures are identified as the cause of pain to at least consider deeper evaluation if the symptoms do not respond. This is where the patient can greatly help their own cause by asking questions about possible deeper structures involved. Golden Rule of Foot: Treat the Patient not the Test (xray, MRI, bone scan, etc) Another common scenario happens all the time, and I will use Judy's story to describe it. In this case, Judy actually developed a superficial tendinitis on the outside of her knee called: Iliotibial Band Syndrome. 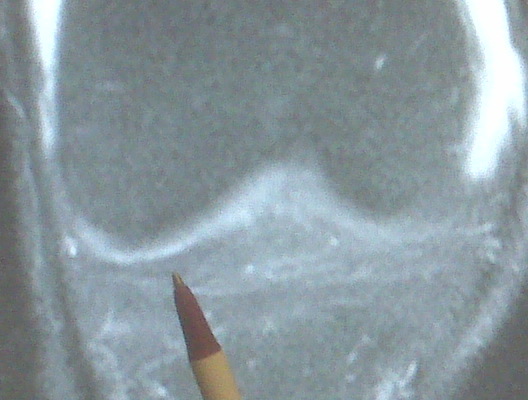 The smart clinician looked deeper with an MRI and found arthritis in the knee. The decision was made, without proof, and not following our KISS principle (see post covering), that the arthritis must be causing the tendinitis, and the knee required a knee replacement. The patient wisely choose the KISS principle and treated the tendinitis first (on advice from other physicians) to see if the pain would go away and it did. I have had 3 major injuries in my life and all 3 had a surgical option. Good people recommended good surgeries for me. But I choose to try rehabilitation first, and so far, I am fully functional and have avoided surgery. We owe it to ourselves to try rehabilitation first. In Judy's case, her pain was superficial, and surgery on her deeper arthritis was unnecessary. The photo above shows the complexity of the knee joint and how soreness in one area may be caused by deeper problems, but may be not. So, deep injuries can be mistreated when the care is only directed at the secondary more superficial soreness. And, superficial injuries with concurrent deeper non-painful abnormalities can be mistreated when the doctor, therapist, and/or patient mistakenly blames the pain on the wrong structure. Please review one of my earlier posts on Second Opinions. Golden Rule of Foot: Allow time for Rehabilitation to succeed or fail, so that you can possibly avoid unnecessary surgery. Hamstrings tightness is very common to athletes. Stretching of the hamstrings is one of the 3 most important lower extremity stretches that should be done both before (to prevent injury) and after (to gain flexibility and relax muscles) exercise. The other 2 muscle/tendon groups crucial to stretch are achilles and quadriceps. Various posts will be dedicated to each variation of stretch. I feel most stretching articles are too overwhelming with 5 plus exercises. I would rather you understand one well, before proceeding further. The photo above shows the basic lower hamstring stretch getting the muscle/tendon loose around the back of the knee. The patients are told to place their heel on an elevated surface, like a chair or bench, where they feel no tension placing it there. The knee should be held straight and the toes straight upwards. The patient should not attempt to touch their toes which places too much stress on the back. It is emphasized to the patient to lean forward over the leg being stretched feeling the bend at the hip joint, not the back. Imagine the back as completely straight. Lean forward over the leg until you feel tension behind the knee. It is very important since you are standing on one leg to feel very stable. Be near a wall or table that you can hold on with your arms if needed to gain stability. Once you feel a great stretch, hold the stretch for 30 to 60 seconds (I love 8 deep breathes to get oxygen into the stretch. With every exhale, go slightly deeper into the stretch). There should never be pain with stretching either during or after. Pain during stretching will always mean 2 hours later you are tighter than when you started. Pain after stretching means you stretched too hard and next time stretch easier. Please read the separate post on Generalizations of Stretching. When stretching both legs, I like to alternate sides. The three stretch variations for the lower hamstring is all based on the big toe position. Let us discuss the right side, and I will leave it up to you to do the opposite for the left side. With the big toe at 12 o'clock, lean forward over the leg until you feel the pull of the hamstring behind the knee. Hold this painfree stretch for 30 to 60 seconds, or 8 deep breathes. Then do the left side. The second stretch for the right side is with the big toe at/near 9 o'clock. This gets a greater stretch on the medial hamstrings (semi-tendinosis and semi-membranosis). Then do the left side. The third stretch for the left side is with the big toe near 3 o'clock. This gets a greater stretch on the lateral hamstrings (biceps femoris). You may be very surprised that one of the three stretches gets the sore muscle/tendon better than the other two. If so, do one more stretch to this variation for 8 more deep breathes, or go back it that stretch alone several times a day. Soon I will have a post on Upper Hamstring Stretching (the apparent mystery stretch to 99% of my patients whom have never heard of it). The Most Time-Effective Treatment for Plantar Fasciits is a 5 minute Rolling Ice Stretch. It combines anti-inflammatory, mechanical massage, and plantar fascial stretch all beneficial in helping plantar fasciitis. If there is a plantar bursitis, an additional 5 minutes of massage just to the bottom of the heel is performed. A plastic bottle of any shape (patients do have their favorites) is filled 1/2 to 2/3 full of water and then frozen. The water will expand with freezing. Then, a towel is placed on the ground, and from a sitting or standing position (I personally like standing but not with full body weight), the arch from heel to toes is gradually massaged from 5 minutes. Patients are told to gently massage the skin for the 1st minute, the 2nd minute they can massage a little deeper into the soft tissues, and the 3rd to 5th minutes the massage should get deep into the deeper tissues (fascia, muscle, and tendon). This treatment should be done three times daily. The bottom of the heel gets its own 5 minutes if a bursitis is present. Remember with icing the 4 to 1 rule. If you ice for 5 minutes, the tissue is tight for the next 20 minutes, prone to pull if used, so be careful to go easy on it during the thawing-out phase. This treatment can be used for many months until the final healing of the plantar fasciitis. This is going to be a reader (are you guys out there?) based post on various topics. But I want the focus to be POSITIVE NEWS. Emphasize what has worked for you. Do not emphasize what has not worked for you on this site. If you can relate in 1 to 6 sentences at most what was HELPFUL in your treatment, you will help hopefully 100’s who read the post (eventually!!). I will comment occasionally and will initially try to have my own patients generate a lively conversation. I am very sure that we all will learn a lot from those who post comments. With most injuries, it takes 2 to 5 treatment avenues (for example, icing, stretching, inserts, physical therapy, etc.) to completely get better and prevent reoccurrences. STAY POSITIVE for the reader. With all the negativity in the news and on the web, and when a patient is dealing with pain, they need a POSITIVE HEALING message. Pain is negative, let your comments be positive. POSITIVE NEWS brings HOPE and hope allows for HEALING. Please be a part of the HEALING PROCESS. I will place this paragraph at the top of each of these Reader Speak Outs. Question for the Reader(s): If you have had pain in the front of your foot that has been diagnosed a Neuroma, what 1 treatment do you think was helpful/most helpful? If you have more than 1 you would like to discuss, please do a separate post. For over 30 years I have watched a wonderful group of patients dedicate themselves to motion of some sort or another. They are not the athletes you read in the papers, some would not consider themselves athletes at all, but they deeply understand that movement is crucial to their lives. I have helped them occasionally through life’s ups and downs, but mainly observed them and been inspired by them. This motion may start physically with some activity, but it is part of a larger pattern of involvement in life. They are engaged in life, inspired by some passion, or just very very grateful for their time here. Daily they open the package called the Present and celebrate in their own unique ways. I have come to appreciate the movement or rhythms of their lives. I can only weakly imitate some, as I try myself to find my rhythm of success. It is a type of success in life that is taught through movement. Respect of the body and of others. Respect of the soul, that inner force, that calls each of us. That movement is away from the couch, away from self-pity, from inertia. It is one of the deepest secrets in life that I know. Most 80 year olds know that if you stop moving, you might as well cash it in. They understand. I hope I understand at 56. Can most 20 year olds understand, it probably depends how reflective they are? The struggles to keep going is sometimes the food of the soul. In injuries, or disabilities, great lessons are learned. But in appreciating movement, deep truths are experienced and learned. An athlete that is self-centered has not learned the truth. A true athlete will learn many truths (humility, patience, kindness, etc.) when the secret of movement is realized. One example of a person in motion is from my early days at Saint Francis Hospital in San Francisco. There was a funny old doctor when I first started—Dr Waldo Newberg. Funny because he ran everywhere, between the office to the hospital, his car to the office, the elevator to the lunch room. When I first met him, I didn’t know what to think. I hadn’t learned the secret lessons of motion, even though I was an athlete. Dr Newberg had 7 children, donated time and money to the missionaries in Africa, ran the San Francisco Marathon when he was 80, and he never was rushed to say hello, or to answer any question. Yet, my mother-in-law Marilyn is another wonderful example even though she would say she is allergic to exercise. Her day is one of beautiful movement. A mother of 5 with all her children and grandchildren daily in her conversations and concerns, she is always helping out. Always driving where she is needed, always bringing the family closer, always a beacon of love for those fortunate to know her. You never know what city Marilyn will spend her day in, but everyone always feels her loving force, moving the conversation along, moving the grandkids to another event, moving the inertia personally from this world in a fully-centered way. So, this movement is with the body, but it must come from the heart. It must come from deep within us. When it comes from this depth, a force is noted by all those around. It becomes an inspiration of how to live our lives. I feel that with my basketball. I feel a deep connection to my being in my struggles and in my successes to move my body as I did as a 20 year old. My job would tie me to a desk, dragging me into stillness, dragging me into 40 more pounds. I need the movement of basketball 3 to 4 times a week to pull me out of my inertia and awaken my soul. I am a better person because of it. When I can’t play basketball anymore, I pray I can find another way to keep moving, keep being engaged, keep caring, keep loving today for the Present it is. • Cortisone shots can be divided into short-acting or long-acting. • Short-acting shots normally are beneficial for 3 days and are used to quickly reduce inflammation. They are commonly betamethasone (6mg/ml) or dexamethasone (4mg/ml) formulas. Since even short-acting cortisone can cause damage/weakness to tendons, if given into tendon sheaths the body part should be immobilized for the 3 days. It is the long-acting shots that are the true healers when the inflammation is out of control, and normally what people are talking about when it comes to a cortisone shot. • This post shows that cortisone normally is not a quick fix as some athletes hope, but it can speed the return to a high level of athletic activities when given appropriately. • Long-acting shots have a crystalline base which slowly dissolves over a 9 month period. They are commonly Kenalog (10mg/ml) or Celestone (6mg/ml) brands. Any shot after the first long-acting cortisone shot within the 9 month period is considered a booster shot. • Long-acting cortisone shots are normally mixed with a 5 hour local anesthetic. This way the shot also becomes very diagnostic. The long-acting cortisone itself takes 3 to 7 days before it begins to work. This is why you wait 2 weeks to see its effectiveness. I ask the patient to tell me how much pain relief they received in the first 5 hours, and then over the next 3 to 14 days. The initial 5 hours tell me if the cortisone was deposited in the right place. • Following a long-acting cortisone shot, and after the local anesthetic has worn-off, there can be a period of 2 to 7 days where there is more pain due to the added swelling produced by the shot. This is why patients are encouraged to ice the area of the shot 3 times daily during the first week, and twice daily during the second week. • Patients are told to come back in 2 weeks if they have less than an 80% pain relief (normally no pain walking, greatly diminished pain from before the shot). • Long-acting cortisone shots are given routinely to diminish inflammation for bursitis and neuritis situations. • Long-acting cortisone shots should never be given into tendon or tendon sheaths (the covering of the tendon) since they are associated with tendon ruptures. It is important to keep the cortisone as far away from the neighboring tendons as possible. • Long-acting cortisone should only be given into joints when MRI s (not x rays) have documented no bone/cartilage damage to be of concern, or when the only alternative is surgical treatment. An arthritic joint, for example, can have up to 5 injections per year to calm down the inflammation, but if the injections stop working, surgery in some form will be the only alternative. The patient must know this going forward with the shots. • Long-acting cortisone is never injected into the plantar fascia itself, but into the bursitis under it. Tears of the plantar fascia can occur with injections into the plantar fascia directly. • No running/high-demand/weight-bearing sports are allowed for 2 weeks after a long-acting cortisone shot is given. This is why athletes run from the thought of cortisone shots, even when they are limping, and vow they will ice hourly as long as they can still run. More realistic is to try 3 to 4 weeks of physical therapy to cool off the inflammation, then to maintain their relief with a daily icing regimen. • Most foot injections are 10mg of cortisone each. Most knee injections are 40mg of cortisone each. Most epidurals (spinal) are 80+mg of cortisone each. • Injections are given until 80-90% improvement is noted. Golden Rule of Foot: Never Give A Shot You Are Not Sure Is Needed. This may require 1, 2, or 3 shots, minimally spaced 2 weeks apart. • What is an 80-90% improvement? It is crucial to understand this concept!! Golden Rule of Foot: 80-90% improvement is when full activity can resume with only mild symptoms easily maintained with non-invasive conservative treatments like icing, contrasts, activity modifications, stretching, anti-inflammatory medication, etc. • Most of the time 2 injections are needed to bring about this 80-90% improvement (a month of no weight-bearing athletics). However, 20%+ need 1 injection, and equal number need all 3. • There should be no pre-determining how many shots are needed. The first shot is given and the athlete returns in 2 weeks. The area is evaluated, and the doctor and the patient independently give an estimate on what improvement (if any) has been achieved. It is crucial that the patient ice the area 3 times daily (see post on icing) during these 2 weeks. This can accentuate the anti-inflammatory aspect of the shot, hopefully eliminating any need for further shots. • When patients call me wanting an appointment for another shot, I normally have them icing 3 times a day, if they have not, for 3 days to see if they really need the shot. Over 50% of the time, they do not need the next shot. • If after the 2 weeks, it is hard for whatever reason to determine how much improvement was attained, before giving another shot, the patient gradually returns to full-activity with anti-inflammatory oral medicine (after, not before, activity), icing, stretching, etc. If full activity is not allowed, thus not a the 80% improvement level, a booster shot is given and the process continues for 2 more weeks. You can see how once Cortisone Injection Therapy is initiated, it can take a while to finish. • In the worse case scenario, 3 injections may not bring the inflammation down to achieve this 80-90% improvement expected. The decision must be made on further diagnostic tests or removable casts for immobilization. • But normally, 1, 2, or 3 shots do bring down the inflammation, coupled with the 3 times a day icing, and with the 80-90% improvement, weight-bearing physical activity can begin. • Hopefully, during the time of inactivity, some level of cross-training has happened, so return to activity at a higher level will not be too stressful on the body. • Once the initial 80-90% improvement is attained, I will see patients at 3 months, then 6 months. If a re-flare of symptoms occurs, and icing does not diminish greatly, booster shots can be given one shot at a time. A vital part of the treatment of achilles tendinitis and plantar fasciitis is stretching these structures. Please check out the post on the Generalizations of Stretching. The photo above shows a very powerful achilles and plantar fascial stretch. It normally feels great as you lower one or both heels off the edge of a stair or curb. But this stretch called Negative Heel Stretching can be damaging to your tendon and/or plantar fascia. I do not recommend it at all, but I emphasize it with my achilles and plantar fasciitis patients to avoid with a passion. With the heel in a vulnerable, non-protected, position, the heel is lowered into a position it is just not used to being. If you think about heel position in life activities (functional activities), our heels are either at the same height as the front of the foot, or elevated above the front of the foot as in a normal heeled shoe. Negative Heel Stretching places our heels in a position that life has not accustomed them to being. Almost our full body weight goes into the achilles attachment in the back of the heel and into the attachment of the plantar fascia into the bottom of the heel. Golden Rule of Foot: Avoid Negative Heel Stretching. Do not take a chance that this stretch is overloading the weakened areas leading to greater damage of the tissues. There are too many other ways to stretch these areas which will be handled in other posts.